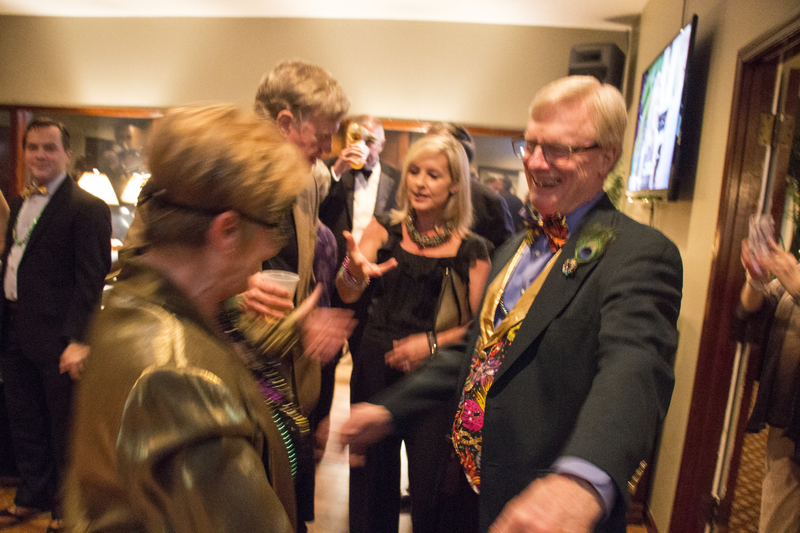 The Swainsboro Country Club was transformed into Bourbon Street on the evening of Saturday, February 24th for the Emanuel Coalition for Cultural & Economic Development’s Mardi Gras Celebration. 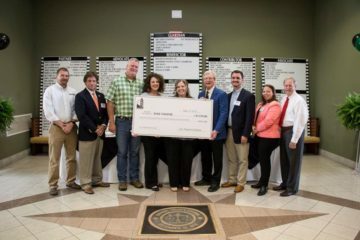 The event was held in support of the renovation of the Historic Dixie Theatre and development of the Barbara & Tobe Karrh Community Arts Center. The Country Club was decorated in grand fashion with beads, tinsel, feathers, and baubles in the traditional Fat Tuesday hues of purple, green, and gold. Guests dressed for the occasion in festive attire that ranged from tuxedos and sequins to masquerade masks and even full costumes. Live music by Rhett Blount, Alan Brasher, and Blake Marsh kept the dance floor full, while others took the opportunity to learn more about the project and its progress by speaking with committee members and viewing a slideshow spanning the history, progress, and future of the theater. During the band’s intermission, Rusty Lane assisted ECCED co-Chairs, Kristin Hall and Bobby Reeves, with the 50/50 drawing that was held in conjunction with the event. Johnny Ware was announced as the winner of the $1,240 prize, which he generously donated back to the project. The ECCED is a 501 (c) 3 charitable organization that was created to facilitate the renovation of the Historic Dixie Theatre as a feature of the Barbara & Tobe Karrh Community Arts Center. Once complete, the 280-seat theater will show first-run movies and include a stage for live performances. The Barbara & Tobe Karrh Community Arts Center will also offer community meeting and event space, a gallery, and space for the Emanuel Arts Council. Upper story lofts will be added in a later phase of the project.